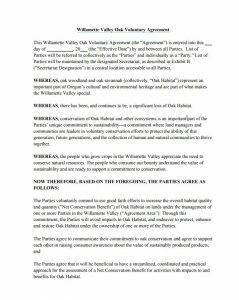 This is the agreement document for landowners becoming signatories of the Willamette Valley Oak Accord. Excerpt from “Purpose” section: The Agreement is entered into by the Parties on a voluntary basis. 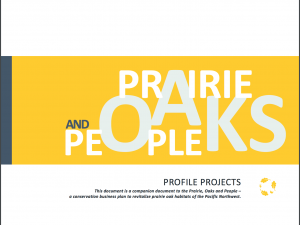 The intent of the Agreement is for the Parties to use a combined and coordinated approach to conservation of Oak Habitat in the Agreement Area. 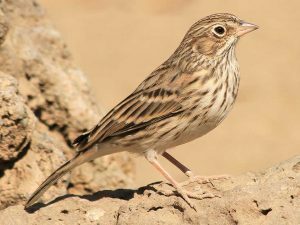 The Agreement will provide a collaborative process for setting conservation goals, determining Net Conservation Benefit, and potentially coordinating enhancement, restoration, and stewardship activities. 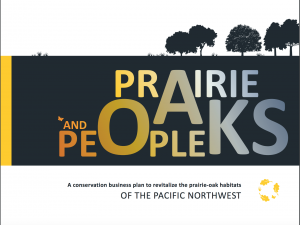 The Agreement will also provide an opportunity to raise awareness and education about the value of Oak Habitat and the need for its conservation in the Agreement Area. The Agreement will be coordinated by the designated Secretariat, as described in Exhibit B (“Secretariat Designation”). 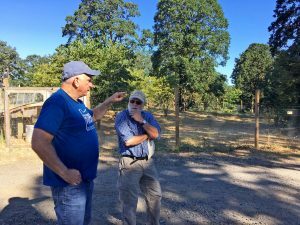 Read the Willamette Valley Oak Accord Voluntary Agreement.